Everyone in your family tree was young once, but childhood today is very different from what it was a century or more ago. Before the Victorian era, children as young as 6 or 8 years old might work in a mill or factory, they might run errands and make deliveries for a store keeper, they may be apprenticed to a skilled craftsman or woman, or they could be hired out as a servant. 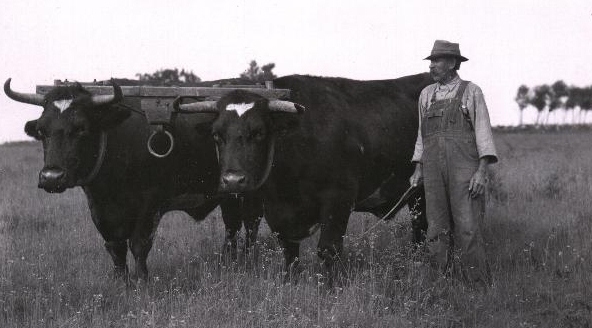 Many children in rural parts of the country worked on farms alongside the grown ups. Their work day started before the sun came up and boys' tasks might include cutting, splitting, or carrying firewood for the stove or fireplace, tending to the farm animals, carrying water to the house, putting up or repairing fencing, working in the gardens, fields or orchards, and hunting, trapping or fishing to provide food for the family. Girls spent long days cooking, milking cows or goats, collecting eggs, churning butter, making breads and cheeses, preserving foods, cleaning, doing laundry, making candles, sewing clothes for the family, preparing fibers like wool and flax to spin and weave, caring for younger brothers and sisters and helping elderly family members. Children learned to read, write, and do math at home or in a simple one room schoolhouse where there was one teacher for all the grades. Usually the teacher was a single woman, and she could be as young as 14 or 15 years old. The teacher might be a woman from the community where she was teaching, but just as often she was from further away and she would live with a local family during the school year. How would you like to have your teacher live at your house? The schoolhouse was generally set up with the teachers desk on one end and a wood stove on the other, with the students desks in between the two. Lots of towns had several of these schoolhouses located in different parts of the town, and children would attend the school closest to where they lived. Many times this meant walking 2 or 3 miles to school, carrying a slate,a book or two and a lunch pail, no school buses back then! In some places the school was provided with firewood by the town, and in others the children took turns bringing firewood to school to heat it during the winter months. 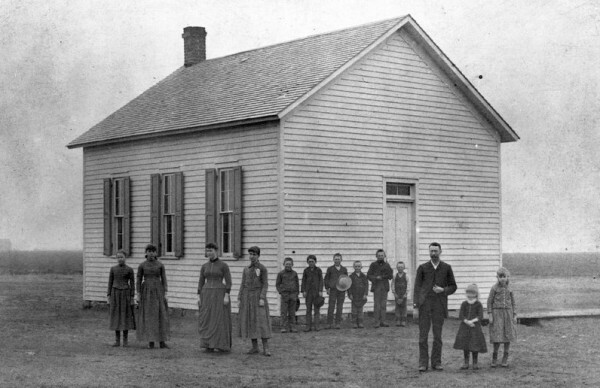 In 1919 there were almost 200,000 of these one room schools across the United States, but by 2005 there were fewer than 400 still being used as schools. Do you know what jobs the people in your family did 200 years ago? What did kids do for chores back then? What was life really like in the early 1800's? Here you can learn a little bit about history, old-fashioned jobs and old-time crafts. Click on each occupation below to learn more. Each page has a cool word find puzzle that you can print and search! Did you find all the words? Check your answers here!